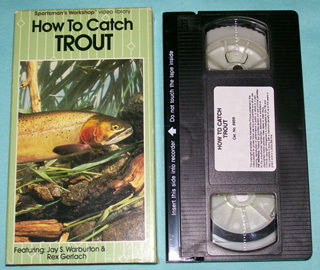 Movies, how to do it videos, fishing, hunting, exercise, art instruction, musical instrument instruction and such are here - in VHS format. Jay S. Warburton and Larry Nixon. Used - Very good condition. Approximate run time 30 minutes. 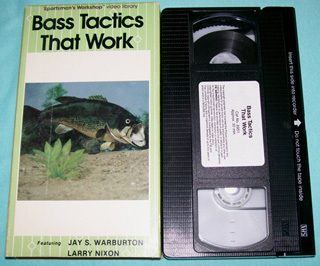 Bass fishing strategies and tips from two experts. Jay S. Warburton and Rex Gerlach. Trout fishing strategies and tips from two experts. Jay S. Warburton and Babe Winkleman. Approximate run time 50 minutes. 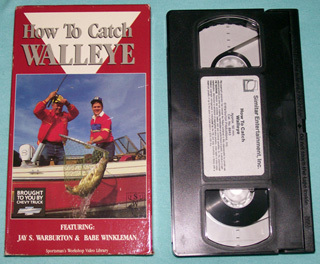 Walleye fishing strategies and tips from two experts. 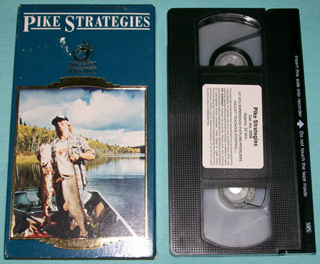 Northern Pike fishing strategies, tactics and tips from two experts.